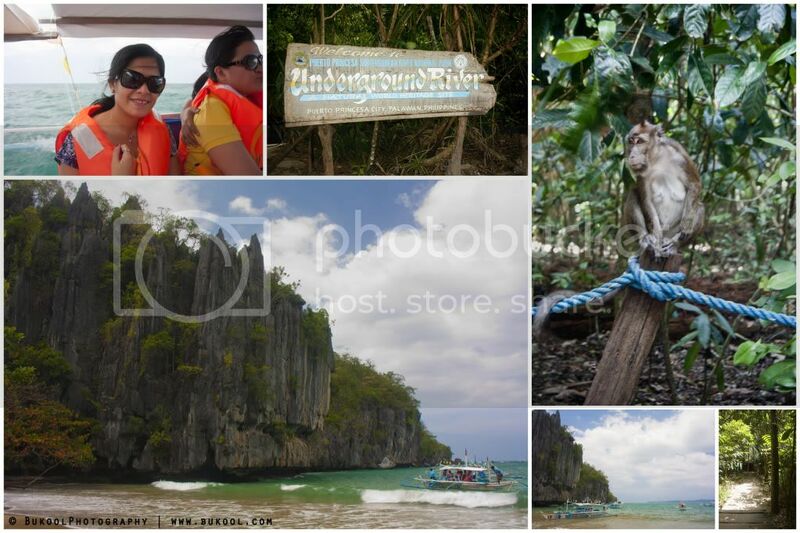 March 12, 2011 – Iterinary for the second day was to go to the Puerto Princesa Underground River located in the Midwest coast of Palawan some 76 km northwest of Puerto Princesa City, facing the South China sea. It took us 2 hours to get there. But because Puerto Princesa is the largest city in the Philippines, a 2-hour 74-km travel won’t get you out of the city. Unlike in Cebu or in Manila where you’d pass-by several other cities or municipalities when you travel at a distance of 50-75kms. At about 1020H we reached the Sabang Wharf where we took a 20-min boat ride to the Underground River or what is now called Puerto Princesa Subterranean River National Park (PPSRNP). 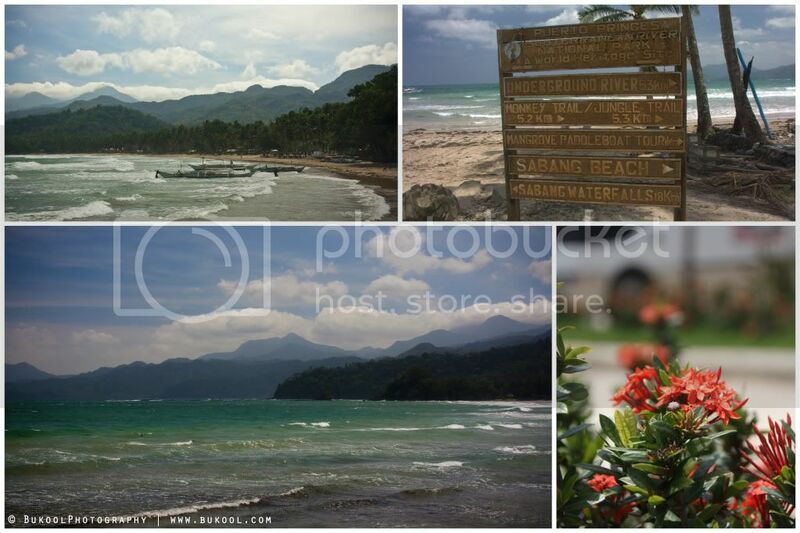 Getting to Sabang town was fun but at one point bumpy as about 1 or 2 kilometers of the road was not yet paved. The trip was eye-pleasant as we passed by several amazing sites along the way. All this time with Jeanneth’s GPS from her iPhone turned on. We took a 10-min stop at the Buenavista Viewdeck where we were able to view the Ulugan Bay and took some shots of the wonderful scenery. Some of our group also bought few souvenirs handcrafted by rehabilitated convicts some wildlife figurines made out of recycled plastics and clay (more on the rehabilitated convicts on our last day). Unfortunately, we were not able to catch our 1030H boat ride at Sabang Wharf because there were several other groups of tourists that came ahead of us, so our tour guide just arranged our lunch at one of the cottages around the Sabang beach line. 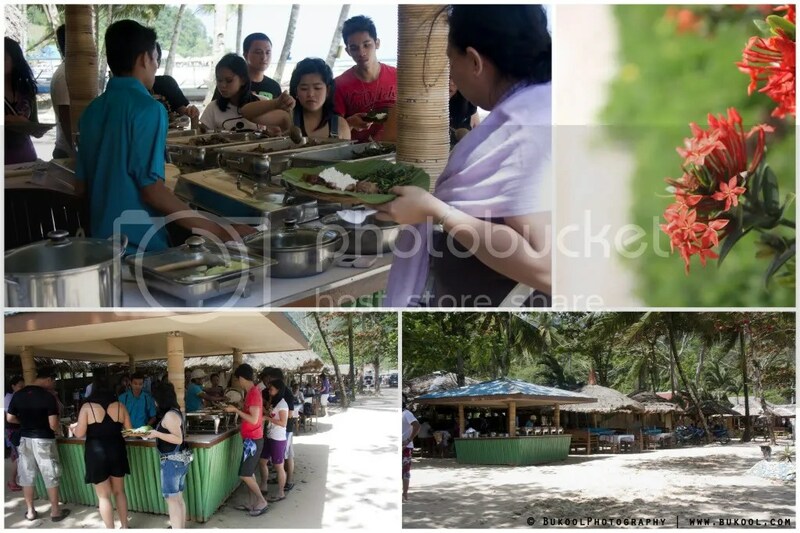 We had a buffet of seafood, chiken adobo, kangkong and some fruits. Lunch, by the way, was part of the package that we paid for. Our trip to the undergound river was scheduled at 1330H. This gave us (or at least Jeanneth) enough time to go shopping for souvenirs at nearby shops. Plastic bags were not allowed in the undergound river so we had to leave everything she bought in the van. The waves along the Sabang beach were large, at least in my opinion, that I thought it was an effect of the Tsunami that hit Japan a day before and at one point fear came into my mind. But after our van driver told us that it was just normal in Sabang as it is facing the South China Sea, it made me calm. By about 1400H, we finally arrived at the shore of the Subterranean River National Park. After walking about 200m, we reached the entrance of the cave but had to wait for our turn, which took us about 30-45 mins. And when the time came, we put on our helmets, life-jackets and hopped into our boat. The Puerto Princesa Underground River is easily navigable up to 4.3 km and is reputed to be the longest navigable underground river in the world. Trained Park staff operate paddle boats take visitors to a 45 minute tour of the cave to appreciate the different rock formations. Also notable are the thousands of bats and swiftlets that inhabit the cave. Our ride was only upto 1.5 km because you’d need a special permit to go beyond it. The journey inside the cave isn’t that boring at all. While our tour guides stayed at the waiting area, the boatman was there to take over and do the talking. It’s amazing to see these people speak in the English language that I almost fell from the boat when I heard him say “don’t turn on the lights until I say so, I’m in charge here so don’t FANIC”. Jeanneth and I were seated in front so that made us in-charge of the spotlight. It was obviously dark inside the cave. Aside from the millions of bats you’ll see sleeping at the ceiling, the cave is full of fascinating rock formations. At “The Cathedral”, as they call it, you’ll see rocks that resemble the Holy Trinity, St. Francis of Assissi with a dog, Mama Mary, etc. Then as we moved on, we passed by “The Market” where you’ll see rocks that look like a garlic, cucumber, mushroom, papaya, etc. Of course, these are all resemblance and effects from our imaginations but it was fun especially when our boatman/tour-guide shouted, “you see that rock?”, we all answered, “yes, what is it?”, the boatman answered “that’s a rock and we’d crash there if you took out the light from it”. We just laughed. After 40-45 minutes, there was light at the end of the cave. And it was a sign that our trip inside the cave was about to end. It was indeed a wonderful experience! 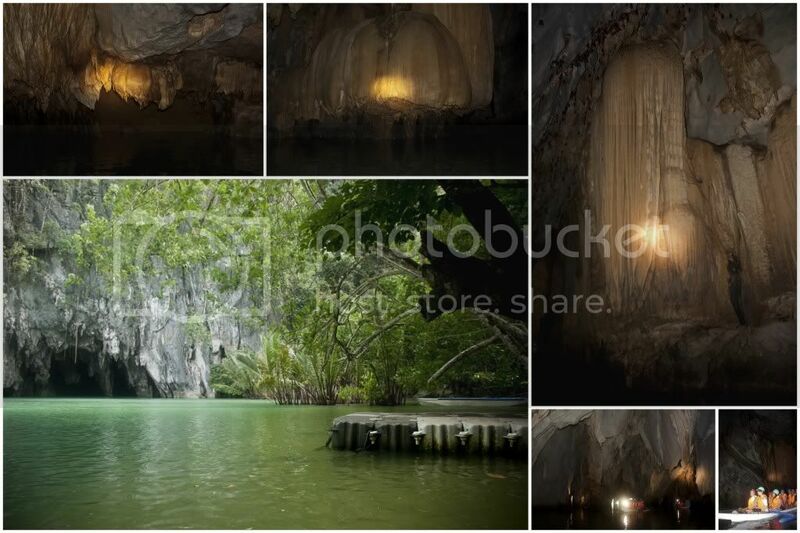 The Puerto Princesa Subterranean River National Park or the Underground River is the official entry of the Philippines and is 1 of the 28 finalists to the Search for the New 7 Wonders of Nature. The third phase of the New7Wonders of Nature is now underway, and you can vote on your choice of seven natural wonders from the selection of 28 Official Finalist Candidates. If you cast your vote during the nominee phases, you can vote again now during this finalist phase. Or if haven’t ever voted yet, please click here to vote now! Currently, Puerto Princesa is sitting at 25th place of the 28 finalists in the latest rankings. If you vote, vote for those in 20th to the 28th place so you won’t be adding votes to the top ones. We headed back to our hotel for another 2-hour ride and everybody in the van were tired and almost all fell asleep. 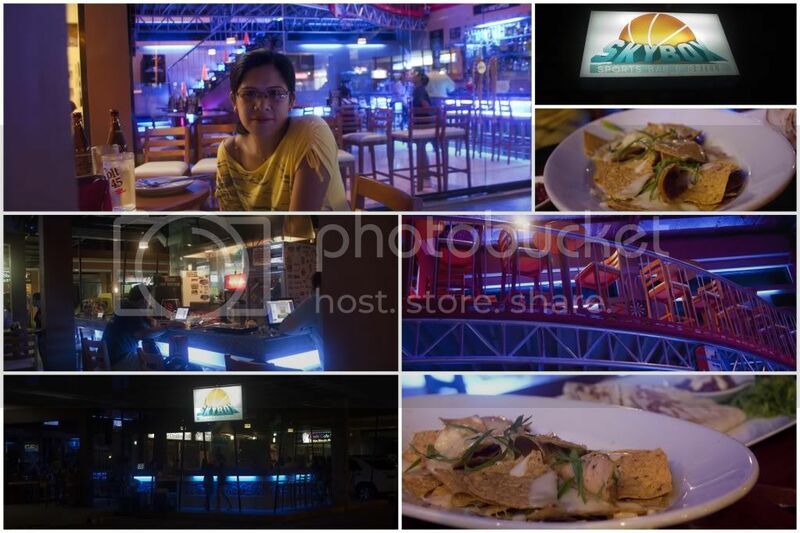 When we got to Kawayanan Resort, where were staying for our entire trip, we took a shower, rested for a while and went out to have dinner at SkyBox Sports Bar and Grill, located at the Mercado de San Miguel Mall along the National Highway in Bgy San Miguel. SkyBox is an American/Mexican restaurant with burger as their centerpiece. However, since we were two very hungry birds coming from a day-long trip, we wanted rice. So we ordered 10 pieces of chicken wings with hot sauce and 3 cups of rice. A bucket of Red Horse Beer, of course, should always be included. What amazed me with SkyBox was how fast they could cook the food and serve it, we decided to order Nachos and Quesadilla. At about 2300H, we headed back to our hotel and called it a day….. Up Next: Honda Bay Tour. Total expense for the day: (Will update later). I didn’t know that Puerto Princesa is that big! What about going to Coron and Puerto Princesa in a 3-day itinerary, will that do? and master, was this vacation a package tour? Puerto Princesa to Coron would take 8 hours or even more because the road is not completed paved. That would take away 16 to 20 hours from your 3 days. The hotel where we stayed was also a Travel Agency so we got a good price of the tours. P5800/head including breakfast and lunch for 4D/3N, exclusive of airfare. in fairness barato xa ha.. pero murag di jud nako feel ang packaged tours hehe.. malingaw man gud mi maghimo ug itinerary nga amoa ug magresearch about the place daan.. murag your choice your music bah hehe..
Puerto Princesa gov’t is so strict when it comes to regulations. Daghan registration kinahanglan before you can go to tourists spots. Like if you go to the Underground River, you need to get a permit before you can board the boat. For Honda Bay, there’s a registration form you need to fill-out so your names can be included in the boat’s manifest. I wished that the same should’ve been implemented in Cebu for the safety of the passengers/tourists.